Sanda House, the oldest building in Orford, is heritage listed. It was built between 1838 to 1840 from local field rocks and sandstone. 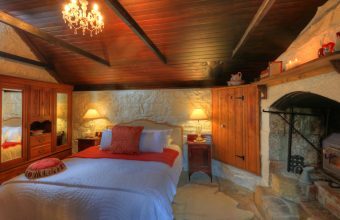 Nestled on an acre of land, away from highway noise, the property features 4 guest rooms, a guest sitting room, a guest dining room, a 20 tree orchard, cottage gardens, chickens and a kitchen vegetable garden. Orford's Sanda House is an 8 minute drive to the Triabunna Marina. The modern marina, with a visitor information centre, is the departure point for a 20 minute ferry trip to the fabulous Maria Island National Park. 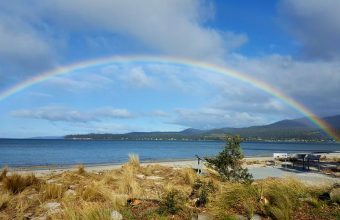 Alternatively, you might wish to join the popular East Coast Cruises for a day cruise to Maria Island and surrounds. The B&B is within 10 minutes walk of local eateries, 5 minutes to pristine beaches and minutes away from fabulous walks around the Spring Bay foreshore on dedicated walking tracks. 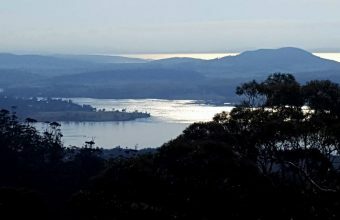 Orford is a 50-minute scenic drive from Hobart International Airport, a 1-hour drive from Hobart City Centre and 90 minutes from Port Arthur.